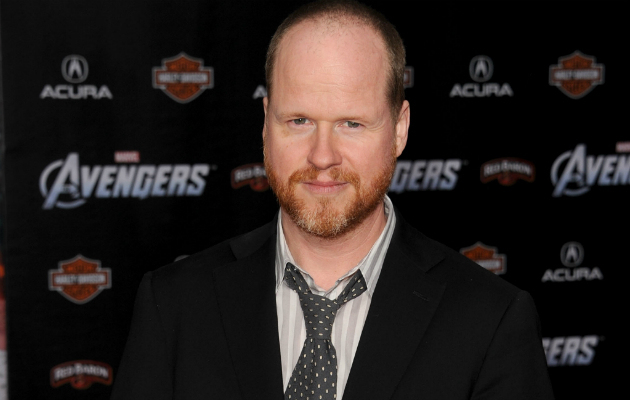 Labeled as the god of geek culture by Entertainment Weekly, Joss Whedon found just enough time from his ridiculously busy schedule to lend his voice on several trending topics. The famed writer-director recently graced the cover of Entertainment Weekly and spoke about various projects, including those that aren’t his own. 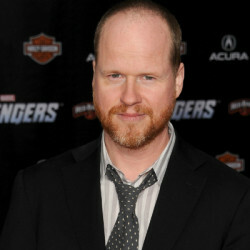 Whedon admitted to interviewer James Hibberd of his gripe with The Empire Strikes Back, the second Star Wars film regarded by many as the best in the saga. Whedon does, however, cite The Empire Strikes Back and The Godfather Part II as prime examples of how to direct a follow-up. 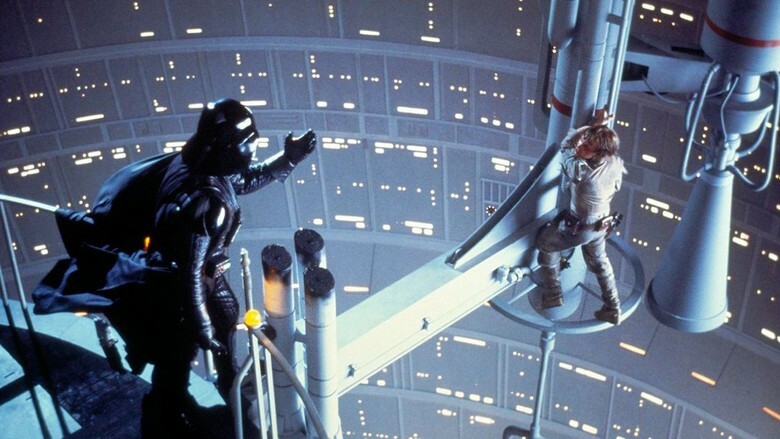 As a fan of The Empire Strikes Back, I agree with Whedon on his criticism but the film’s story and emotionally complex character development help blemish the lack of resolution in the conclusion. The writer-director didn’t limit his opinions on one franchise. Whedon, who created the cult hit show Buffy the Vampire Slayer, also commented on the vampire love stories seen on television and the Twilight films. The extensive interview also delved into Avengers: Age of Ultron, and the director explained why he opted for Ultron as the villain. “I knew right away what I wanted to do with him. He’s always trying to destroy the Avengers, goddamn it, he’s got a bee in his bonnet. He’s not a happy guy, which means he’s an interesting guy. He’s got pain. And the way that manifests is not going to be standard robot stuff. So we’ll take away some of those powers because at some point everybody becomes magic, and I already have someone who’s a witch,” the director said, referring to Scarlet Witch in his final sentence. 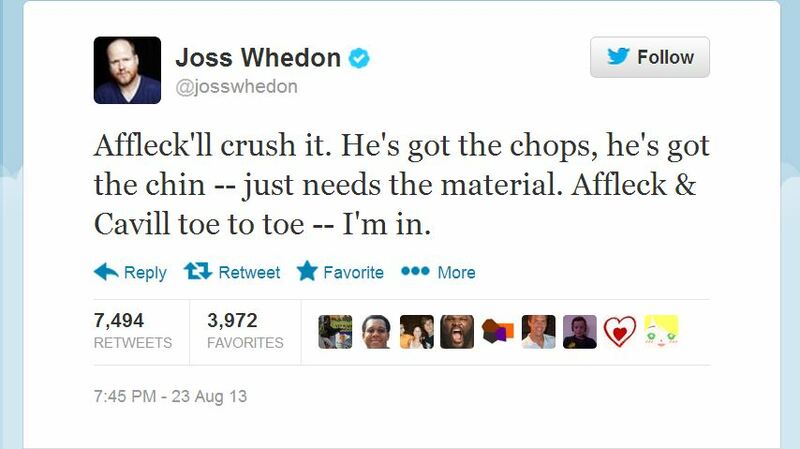 Whedon didn’t limit himself to Entertainment Weekly as his main platform this past week. Following Warner Brothers’ announcement of Ben Affleck donning the batsuit, the Avengers director took to Twitter to support his colleague. The in-depth interview with Entertainment Weekly is available on newsstands this week. His new series Agents of S.H.I.E.L.D. is scheduled to premiere on ABC this September. And if you have not had time to Whedon’s take on Shakespeare’s Much Ado About Nothing, then I suggest you pick up the Blu-ray/DVD on Oct. 8. In the meantime, just watch The Avengers (again) or Firefly..again.